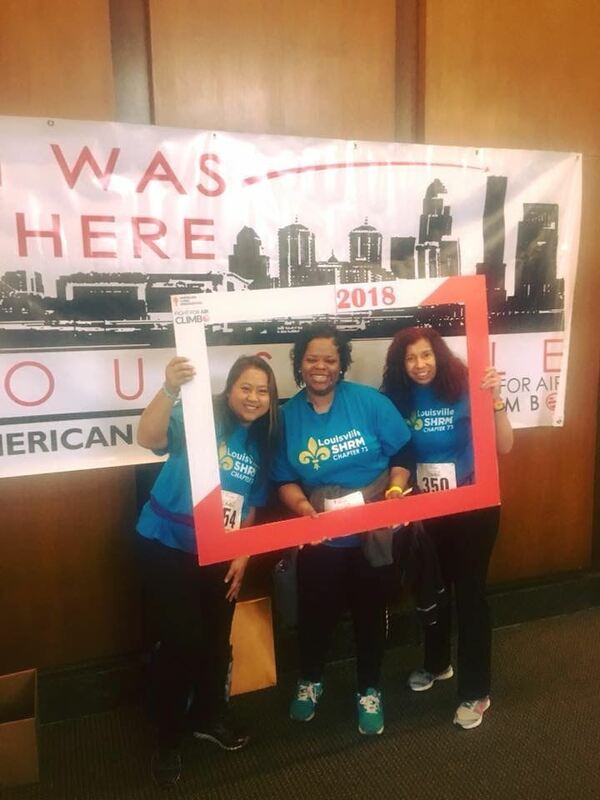 Join team LSHRM for the Best Buddies Friendship Walk on April 20th, 2019. Be awesome and support Best Buddies! Everybody needs a friend. But not everybody has one. It can be very hard for people with intellectual and developmental disabilities to make connections on their own. So Best Buddies matches them with a peer volunteer to form a "buddy pair". New friends open up a whole new world of opportunities! And donations from people like you and me make local Best Buddies programs possible. Big, small, somewhere in between your support will not go unnoticed. Join us in giving the gift of friendship - register to walk with us at the Best Buddies Friendship Walk or make a donation today! He worked hard to get the Internship Central created and uploaded on the website and has been working hard to get the College and Community relations programs solidified. He has given consistent feedback and leadership to the Board of LSHRM. Kim stepped into the role of Director of Membership and has come up with new campaigns to obtain new members and to also get lapsed members renewed. 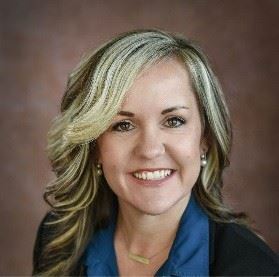 She has a goal of getting LSHRM to the highest number of members we’ve had in a quite some time and is being proactive in reaching out to lapsed and at large members. Toni is instrumental every year for coordinating our speakers for our Legal Day conference and works hard behind the scenes to pull the program together. She attends to the details and makes the program a success annually. The positive feedback that we hear from our members is incredibly Positive. Her dedication to LSHRM and our members is greatly appreciated. 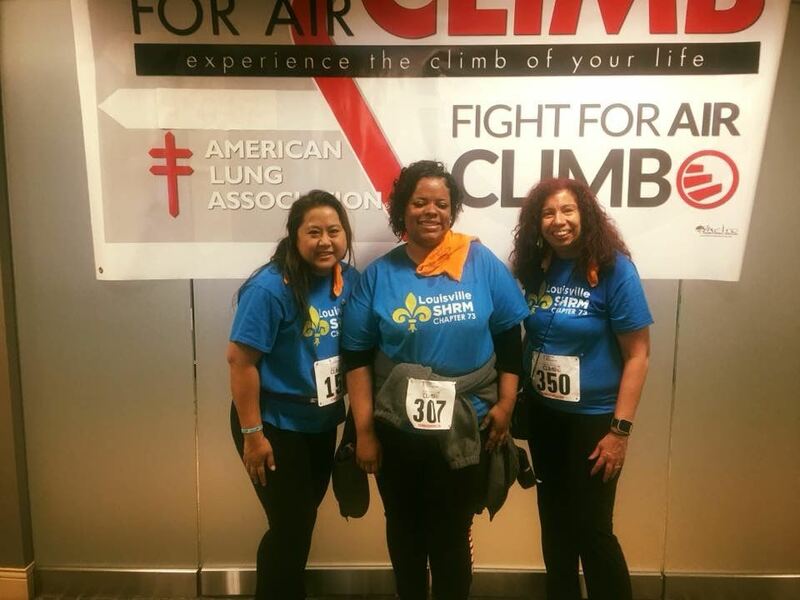 Come & Join LSHRM for this unique event raising funds for the American Lung Association’s Fight for Air Climb, scheduled for Saturday, February 2nd, at the National City Tower on 101 S 5th Street. 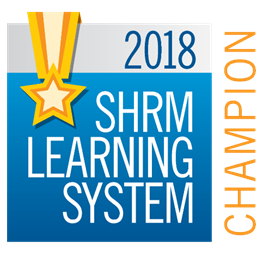 LSHRM is proud to announce that we have earned champion status for our work in promoting and supporting SHRM’s Certification to LSHRM members. Special thanks to Amy Olds, our 2019 Director of Member Development & Certification, Jenna Malcom, Study Group Co- Chair and Jennifer Wheatley, Study Group Co-chair for their hard work and dedication in holding prep study courses for those studying for SHRM-CP and SHRM-SCP certifications. They work hard to elevate the HR profession through providing their vast knowledge to our members to assist them in passing the certification exams. I’m A Gilliland Fan! You Will Be One Too! It’s been an innovation run for LSHRM in 2018, and we’re running all the way! 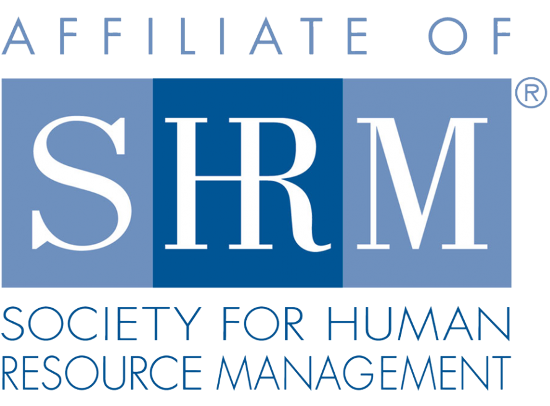 The Louisville Society for Human Resource Management (LSHRM) proudly serves as a business partner that creates bold and innovative workforce solutions for Greater Louisville’s most pressing human resource issues.  We reign as a leading professional organization; because we are fearless in our quest to provide disruptive and cutting edge program solutions to the Louisville community and beyond. LSHRM’s final 2018 program will feature international, hall of fame, top ranked SHRM-favorite speaker, STEVE GILLILAND! Steve will make his debut appearance to the home of The Kentucky Derby on Tuesday, November 13, 2018. Gilliland is recognized as a master storyteller, brilliant comedian, and one of the most in-demand keynote speakers today. LSHRM is providing an amazing opportunity for leaders across Kentucky to experience the extraordinary, Steve Gilliland, at Downtown Marriott in Louisville. Whether you’re experiencing mild transitions now or will undergo massive reorganizations in the future, change is inevitable within every successful organization. Steve’s presentation, DETOUR, provides solutions to reduce stress, eliminate fear, and increase performance during such times. Steve Gilliland reveals how to navigate life’s turns when you’re suddenly headed on a course you never planned and into a future you never imagined. Learn how to maintain resilient leadership presence and confident posture when change is out of your control. Steve’s keynote will teach leaders how to maximize the benefits of personal and professional change with poise and thoughtfulness. Registration is open for this 2018 LSHRM closing program! In an era, where innovation is the new normal, the most effective leaders will be equipped to navigate and adapt to any situation successfully. I’m a Gilliland Fan! You Will Be Too! To register, for more information about the program, or to inquire about being a vendor, visit lshrm.org or email programs@lshrm.org. On behalf of the LSHRM Board of Directors, we would like to recognize MICHAEL Rider as the October 2018 SPOT Award Winner! Mike Rider is our fundraiser extraordinaire! Whenever we’re in a crunch for sponsor dollars, Mike always has someone in his network he can call to help LSHRM. If he doesn’t, no worries, he’ll just sponsor himself and donate dollars from his own business. Mike has expanded LSHRM’s connections to some awesome companies. He has also been a huge help to Charlaine Reynolds this year helping her get sponsorships and raise money for the LSHRM Foundation. He is not only a generous sponsor, but he is also generous with his time and contributes so much to the successful operations of this chapter. Thank you, Mike. We are glad to have you on the LSHRM team! Companies have entire departments dedicated to tracking and improving the financial health of the organization. From the CFO, to the staff accountant, and controller knowing the financial temperature and wellness of the company should always stay top of mind for any organization. However, how many CFO’s and HR Leaders truly know the financial wellness of their employees? According to Forbes, as many as 31% of employees admit that financial stress and worry affects their productivity at work. That is a metric that no company can afford to ignore if they choose to remain as productive as possible. So what can employers do to help? It starts with communication and support. If your company has an Employee Assistance Program (EAP) ensure that employees know about the benefit and feel comfortable using it. If your EAP program does not offer a financial component, work with your broker or provider to see what the cost of adding that benefit. It is important that even if your program does offer this support, that employees know how to use it. Employees can feel embarrassed to admit to financial struggles. It is more important than ever to ensure that your HR department has an open-door policy and is comfortable and versed in handing out information employees need in order to find assistance. Employers can take their support a step further by providing financial counselors and advisors to employees as an added benefit. Financial advisors often come on site to the company location facilitate educational meetings around savings in retirement plans and other employer sponsored plans. By offering matching programs on 401k plans, employers can help employees ease their minds about the security of their retirement. One particularly helpful benefit that employers are starting to add to their benefit offerings are student loan debt repayment assistance programs. These programs help your recent college grads focus on the excitement and learning in their new careers, versus worrying about how they will afford to make their monthly student loan payments. Currently, only about 4% of employers offer a student loan repayment benefit plan to their employees, even though the student debt crisis is rising, and financial stress and worry can lead to disengagement in the workplace. For HR Leaders, the options for offering financial health and wellness programs to your employees can seem overwhelming. So sort out what works best for your company and employees, start by surveying your employee population about what struggles they have financially and what types of financial wellness plans would benefit them the most. From there, you can lean on your brokers and network to identify the solutions that will work best for your organization and employee population. Regardless of what efforts employers choose to assist employees with their financial health, one thing is certain, employers can’t afford to ignore the issue. It’s time for HR Leaders to do an employee financial wellness checkup today!